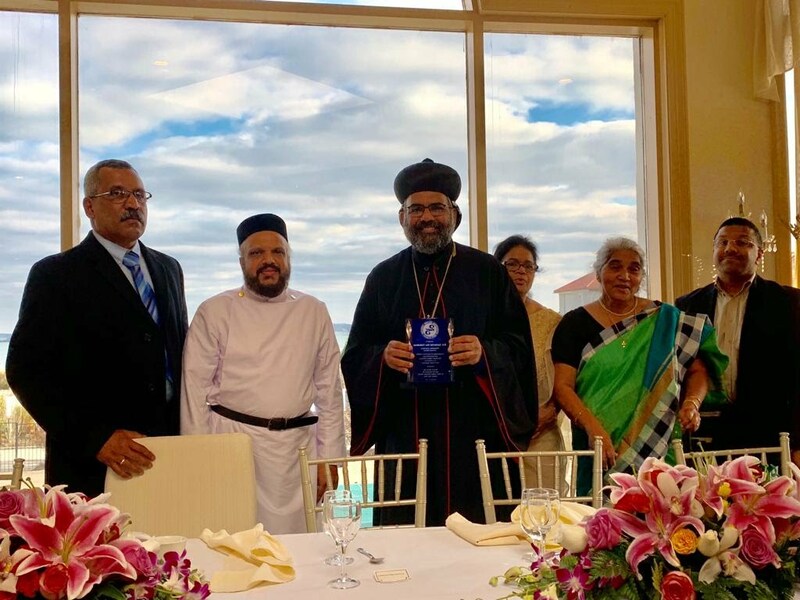 Northeast American Diocese celebrated the Episcopal Silver Jubilee of our beloved Metropolitan His Grace Zachariah Mar Nicholovos at the Green Tree Country Club, New York. His Holiness Moran Mar Baselios Marthoma Paulose II, Catholicos of the East & Malankara Metropolitan present on this blessed occasion. On behalf of our parish, Vicar Rev. Fr. Alex K.Joy, Trustee Mr. Jacob Thampi, Sunday School Headmaster Mr. Anil Thomas Mundukuzhy, Mrs. Aleyamma Jacob and Mrs. Elizabeth Paul attended this blessed event and handed over our parish gift and memento to our Metropolitan.